The post-fire Lake Shore & Michigan Southern Depot II was demolished to make way for a new station that opened July 10, 1903 and stood until 1981. 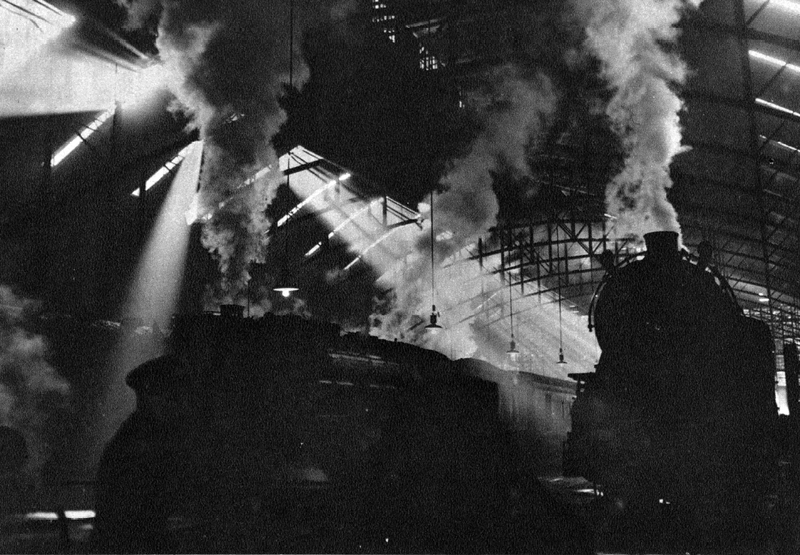 This station was a set for Alfred Hitchcock’s 1959 North by Northwest, starring Cary Grant and Eva Marie Saint, and in the 1973 movie The Sting starring Paul Newman and Robert Redford. New Chicago Terminal for Lake Shore & Michigan Southern and Chicago, Rock Island & Pacific. The erection of a fine,new passenger station in Chicago by the Lake Shore & Michigan Southern and Chicago,Rock Island & Pacific will be begun shortly. The new structure is to be upon the site of the old station long used by these roads and work will commence as soon. as the razing of the old building, now well underway, has been completed and the ground cleared. The contractors are the Grace & HydeCo., Chicago. 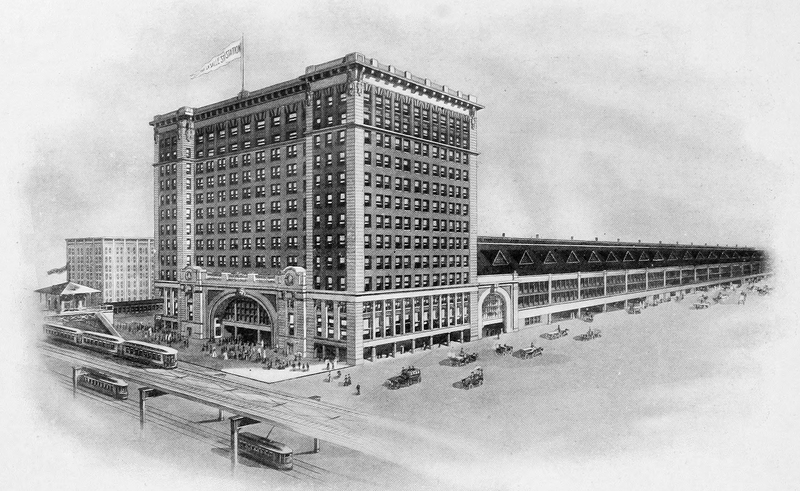 The perspective of the building, which is shown, is from the plans of the architects Frost & Granger, Chicago. It is to front 215 ft. on Van Buren street, with a depth of 156ft. 10in. on La Salle and Sherman (parallel) streets, and will be 10 stories high. The first two stories are to be of granite, and the remaining eight of red paving brick. All trimmings, except the window sills, which will be of terra cotta, are also to be granite. The building is to have a steel grillage foundation, resting on 50-ft. piling driven to hard ground, the piles being spaced 3 ft. between centers. The plans for the station include the elevation of the 11 tracks entering the train shed. The first floor is at the level of the street and the second at the track level, plans of both floors being shown. 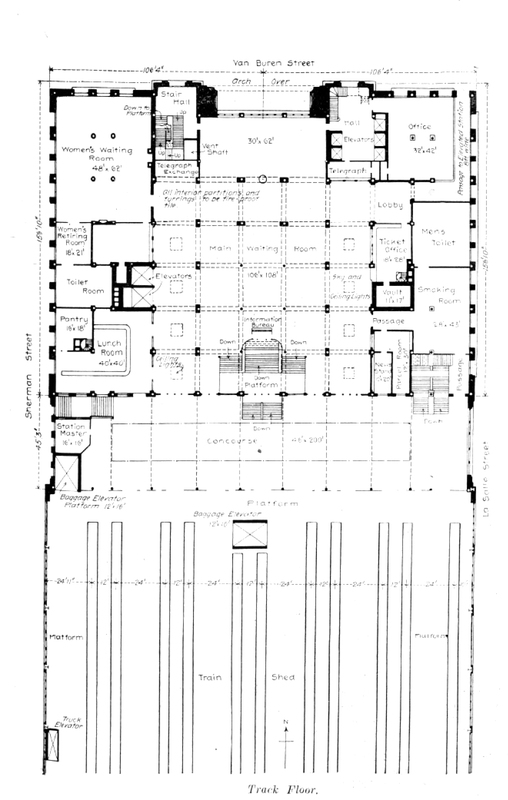 First (Ground) Floor Plan of New Van Buren Street Passenger Station, Chicago—C., R. I. & P. and L. S. & M. S.
In general,the first floor consists of a main lobby, 96 ft. x 118ft., occupying the central space, to the west of which is a large dining room, 48ft. x 72ft., with the kitchen to the rear, and on the east side the general ticket office, 35 ft. x 58 ft. The entrance hall to the office building is on Van Buren street, just beside and east of the main vestibule. Correspondingly situated, on the opposite side of the main vestibule, is an entrance and stairway leading to the main waiting room on the second floor. The space under the elevated tracks will be occupied by the baggage room, the express companies’ rooms, and a cab stand. 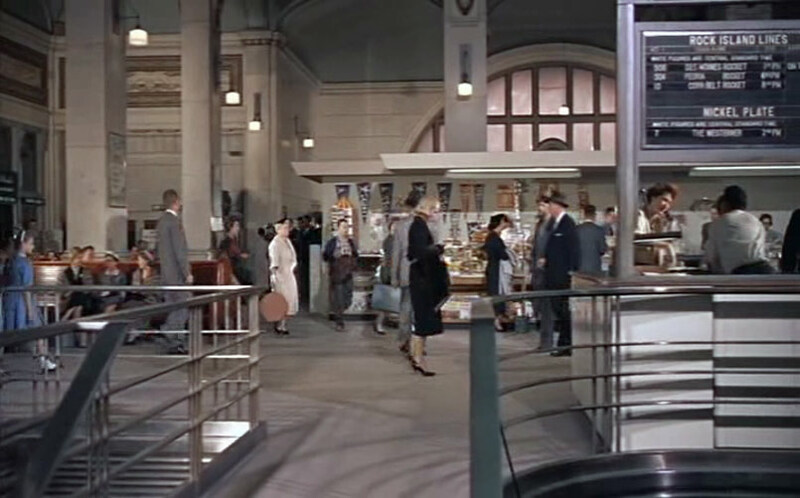 The baggage room will occupy the entire length on the Sherman street side, and the arrangement for checking baggage is made very convenient for passengers, the baggage checking counter being separated from the main lobby only by swinging doors and the necessary space for the accommodation of the public. The cab stand will be on the La Salle street side, next to the building, and from which entrance may be had direct to the main lobby. 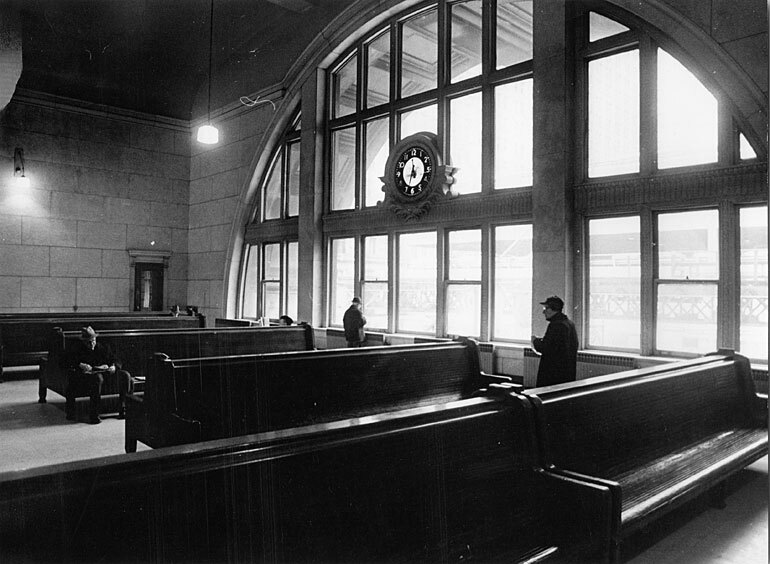 The comfort of the cab drivers was not overlooked, a waiting room, 20ft. x 20 ft., opening on to the cab stand, being provided for them. 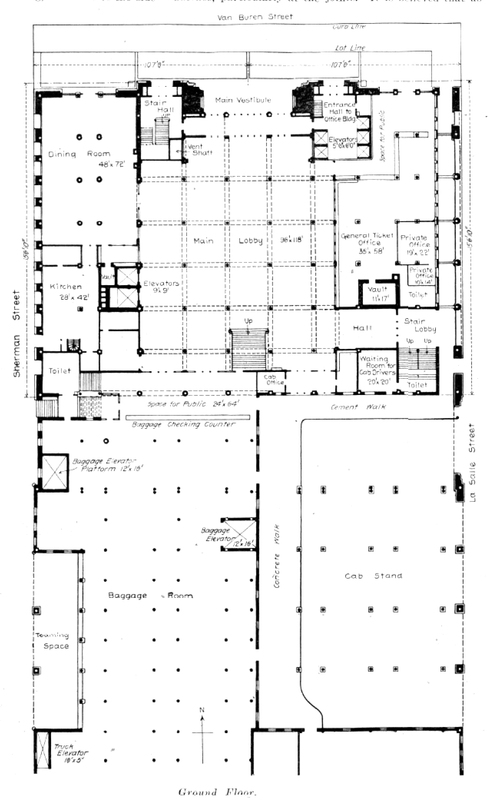 Second (Track) Floor Plan of New Van Buren Street Passenger Station, Chicago—C., R. I. & P. and L. S. & M. S.
On the second floor, besides the main waiting room, 106 ft. x 108 ft., there will be a separate waiting room for women, 48 ft. x 62 ft., back of which will be a small women’s retiring room, and to the rear of this the women’s toilet room. The rest of the space on this side will be occupied by a lunchroom. On the opposite side will be a smoking room for men, men’s toilet room, parcel checking room, news stand, and a small ticket office for the accommodation of such passengers as may not have baggage to look after, and will not therefore be under the necessity of descending to the lowerfloor. Between the main waiting room and the tracks, separated from the latter by the usual iron fencing, will be the concourse, 46 ft. x 200 ft., with a steel and glass roof. At the east, or La Salle street, end of the concourse a stairway leads direct to a street entrance, so that suburban passengers may pass to and from their trains without going through the station, if they so desire. Passengers from the elevated trains on Van Buren street will have a passage way from the elevated station at the northeast corner of the building direct to the main waiting room. The intention is to finish the main lobby in brick, enamel and the main waiting room in marble. The smaller rooms on the first and second floors will probably be finished in mahogany and all of the offices in the building in oak. The offices on the eight upper floors will be by occupied the two roads owning the station. 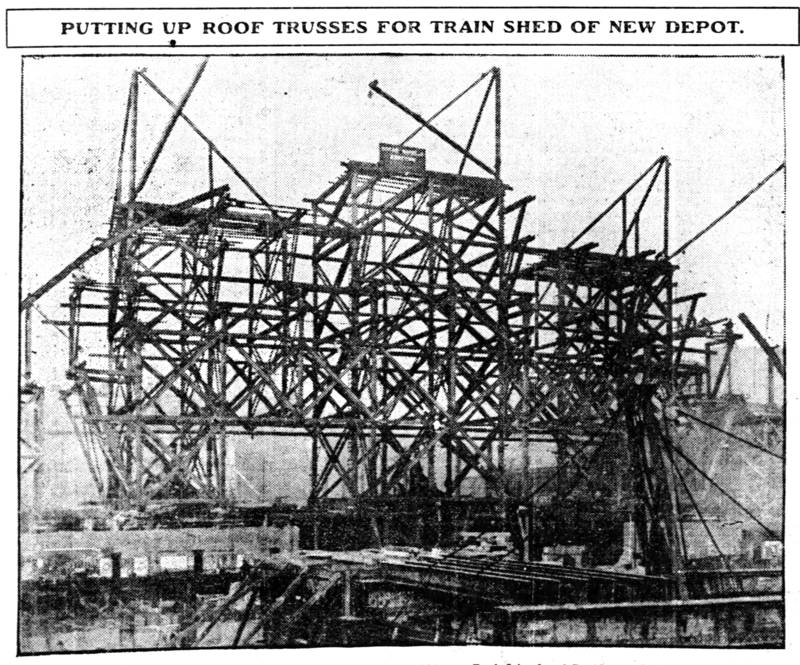 Trusses for the support of the roof of the new train shed for the Chicago. Rock Island and Pacific and Lake Shore and Michigan Southern railroads are being placed in position. The contractors expect to have the shed under cover by Christmas. Each span is 20S feet long. The shed is GW feet long. and twenty trusses will lie necessary to hold up the roof. The trusses are placed In position in sections. Under each span a trestle is built, and the pieces are by the workmen from this temporary stand. The contractors are not ready to say when the entire building will be but think the time will be near July 1. As soon as the shed is completed it Is proposed to run all the trains into it landing the passengers much nearer the center of the business part of Chicago thian is done at present. The new La Salle street station of the Lake Shore and the Rock Island railroads is completed and after today all trains of these two roads and of the Nickel Plate, which Is a tenant, will arrive at and depart from this depot. The first train out will be the Rock Island’s fast mail, leaving here at 2:50 a. m. tomorrow, for Omaha, and the next will be the Lake Shore’s fast mail, leaving at 3 a. m. for New York. 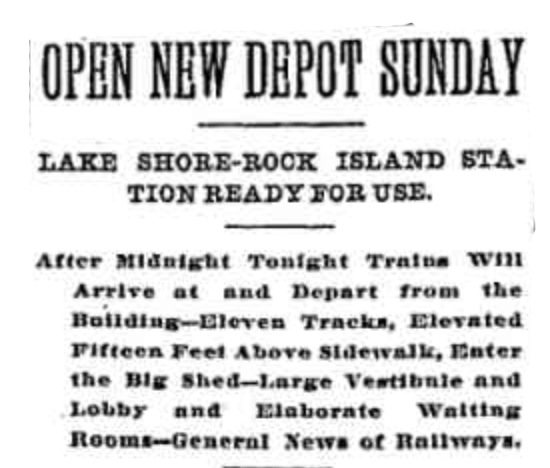 The first passenger train coming in will be the Lake Shore’s from New York and Boston, arriving at 7:10 a. m.; and the first Rock Island train to arrive will be from California at 7:25 a. m.
The new station is divided into two principal parts, the first being the general office building, which has been occupied since May 1, and the great train shed and station proper. The main building Is thirteen stories high and has a frontage of 213 feet, is 202 feet deep, and covering an area of 43,020 square feet. 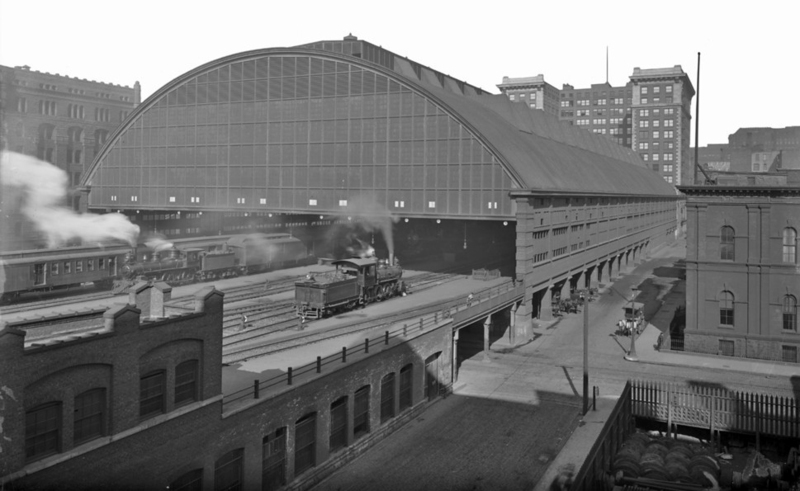 The train shed is 213×575 feet and covers an area of 222,475 square feet. It extends southward from Van Buren street 1,433 feet to Harrison street. Stretched over this vast space is an Immense roof which rests on nineteen steel trusses, the central arch of which, at Its highest point, is 85 feet above the level of the tracks. The tracks are eleven In number and enter the station at an elevation of fifteen feet above the sidewalk. The side walls of the shed are of prismatic lass and there are many projecting sky- lights In the roof, making the interior as light as in the street. The ground floor In the center of the main building, from which entrance Is made from the street, has a vestibule and lobby 96×118 feet. Surrounding this lobby are placed the main ticket office, baggage checkroom, Information bureau, dining room, and other apartments. Leading from the ground floor to the main floor at the track level is a grand staircase and two large passenger elevators. The track, or second floor, contains the waiting rooms and offices. The waiting room Is finished in polished marble and mosaic, with a decorated plaster ceiling. The women’s waiting room Is finished in mahogany. with four great mahogany pillars in the center; and contains a marble fireplace. A waiting room is provided on the second floor for- the convenience of passengers using elevated trains, and a covered passageway connects this room with the La Salle street station of the Union elevated loop. 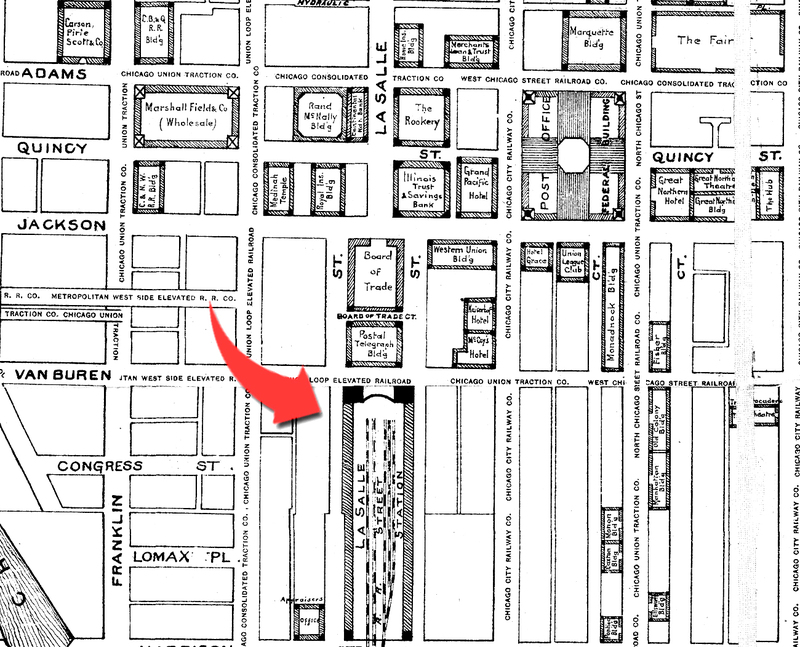 Between Harrison and Polk streets are the power house, under the tracks, and the express building, east of the tracks. Everything about the new building has been planned to give the utmost freedom in movement of traffic to the end that the requirements of travelers may be attended to with dispatch. The Burlington gave notice yesterday of Its Intention to make a $10 rate from St. Paul and Minneapolis to Chicago and return. July 12 and 15. The occasion is the Epworth league meeting at Detroit, and the rate is made to Chicago to minimize the operation of scalpers. A story was yesterday afternoon that railroads and capitalists were considering plans for an Immense union freight yard at the old Stickney tract, twelve miles south of this city. These plans were carried out two years ago and the Chicago Union Transfer railway company has been operating the transfer yards at Stickney ever since. Only a few of the roads have availed themselves of the facilities offered at Stickney, and lately efforts have been made by H. H. Porter, who is the main spirit of the enterprise, to Interest the various railroads in the scheme. The prospects are said to be good for the Rock Island, Illinois Central, and probably some of the Vanderbilt lines to make arrangements for the use of the yards in the near future. 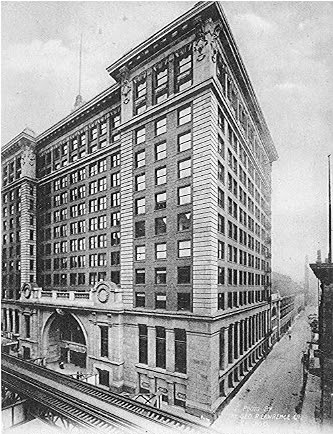 C. T. Banks has been appointed freight claim agent of the Chicago Great Western, with offices at St. Paul. 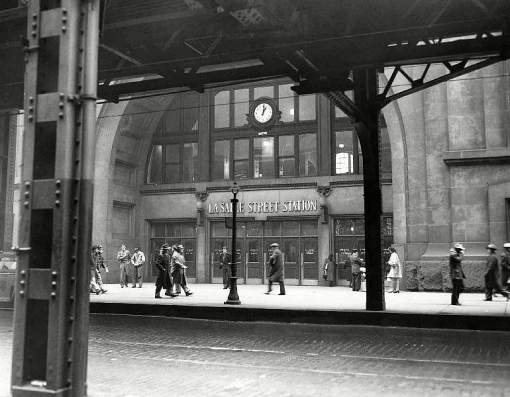 The Iron Horse at LaSalle Street Station. 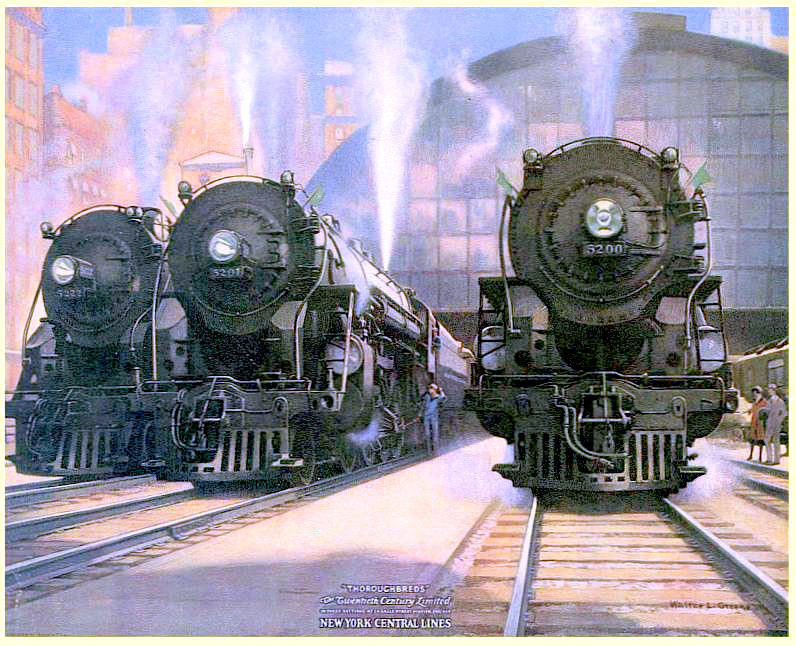 Among the most famous name trains that terminated at LaSalle were the New York Central’s 20th Century Limited from 1902 until 1967 and the Rock Island-Southern Pacific Golden State Limited from 1902 until 1968. 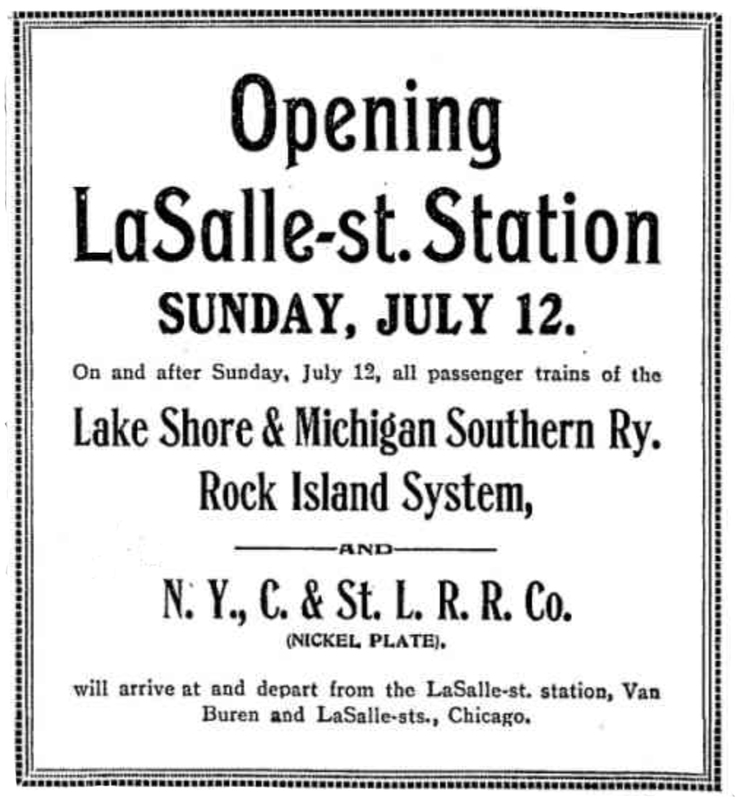 LaSalle still serves commuter trains on Metra’s Rock Island District. Approximately 17,000 people board Metra trains at LaSalle each day. I was looking for exactly this. Trying to build an HO scale building for a train that is the LaSalle Station in 1964. The sting, is my favorite movie of all time. I’ve only found one mistake in the movie. Robert Redford gets a haircut and his nails done. The cart she has, has a 70s era desklamp on it. That thin little switch on top was not around in the 30s. I love seeing this train station. Thanks.